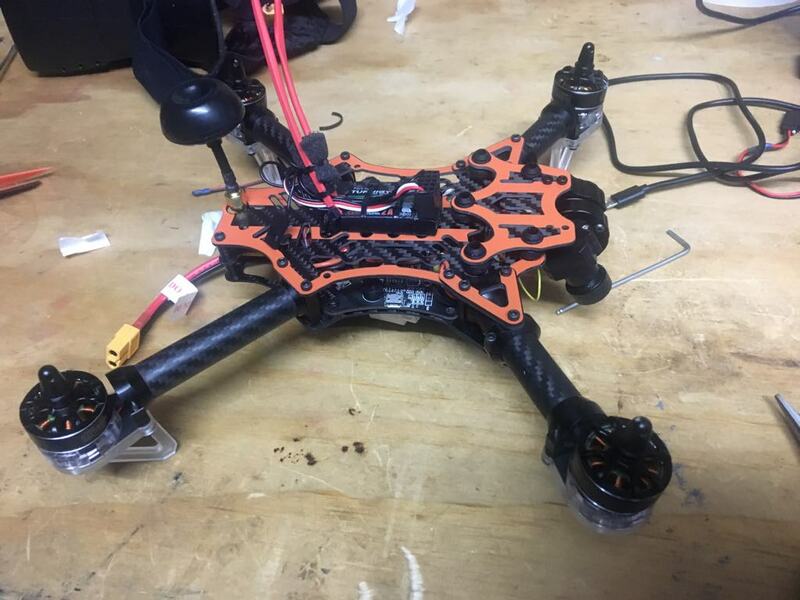 I am having trouble with my quad, I have setup in clean flight, checked power getting to motors. M3 and M4 working fine, M1&2 twitch at startup and continuity is good but M1&2 not working when I arm or test in clean flight. Any ideas what to check? Have you swapped M1 and or M2 into M3 or M4 positions? It would prove condition of M1 and M2. Yes, swapped positions on NAZE and same thing. I’m a noob with cleanflight and wondering if I could have messed something up in there? Did you calibrate the ESC's? If you are using oneshot, can try to disable. Thanks for all the help, definitely learnt a lot. So after much research and trouble shooting I managed to find out that the Naze32 had M1=FPV cam x axis tilt, M2= FPV cam y axis tilt, M3=M3, M4=M4. So the fix was to assign Motors to M5 and M6. I'm sure there is a better way to do this but it was the best work around I could find. I had the same problem as yours. Could you show me the step how to remap M5 & M6?